Sitting in the bulkhead row of F gives us plenty of legroom on this 737, AA2369. 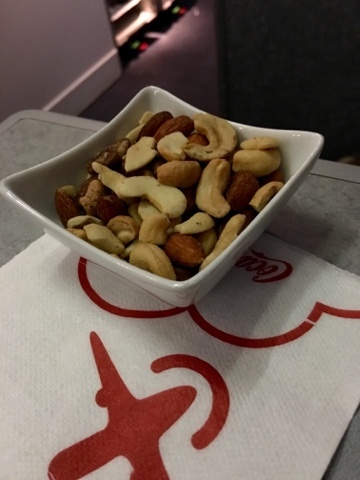 The service on our third - and longest - flight of the day is excellent. 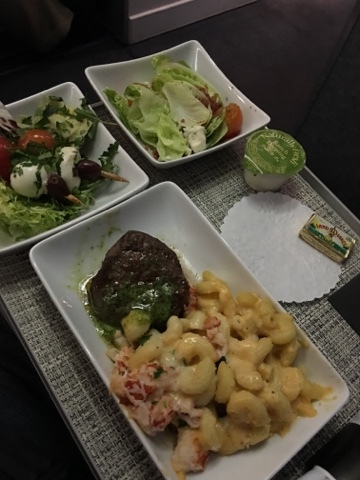 We were actually able to pre-order meals online, and the flight attendant mentioned that was a good idea, as she was already out of beef. It's been a tasty meal and we're looking forward to landing in Vancouver right on time. With luck, we could be home a little after 9:00 p.m.